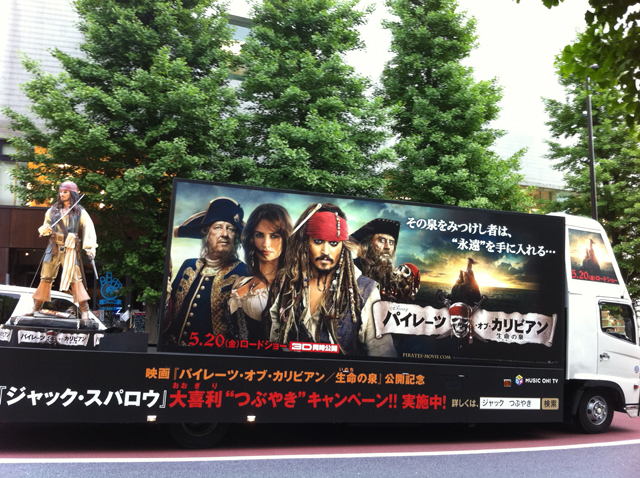 One common way of promoting a new movie or new music group is through the usage of these moving billboard trucks. I’m sure everyone has some form of this i their own cities, but do you have the cool 3D 360 degree rotating Johnny Depp? You could hear this truck coming from a few blocks away.